Print Box 1 is one of series of print works documenting writings, sounds, thoughts and images collected over a period of time in selected public places. If space is a practiced place as Michel de Certeau asserts, this work becomes a record of real-time experiences, and so represents a collective knowledge of these spaces. Using language normally associated with the spoken word, Word of Mouth invites participants to write down their thoughts, hopes and dreams on a paper strip, place inside a paper bag, seal and position in the installation space provided. 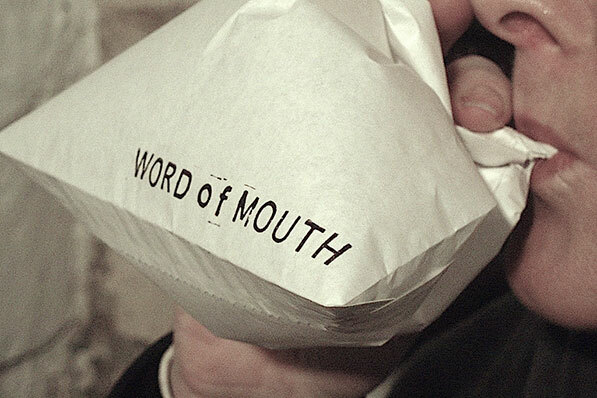 WORD of MOUTH explores how words can be expressed while still remaining private and shared yet undisclosed. Unspoken and written words are given validity while still remaining unheard. The installation of individual air-filled bags, suggesting both real and imagined narratives, represent the voice of individuals which, when placed together in one place, become a collective and powerful voice.